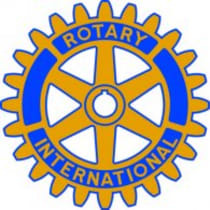 Founded in Chicago in 1905, Rotary is a worldwide organization of business and professional leaders gathering in service clubs. The members provide humanitarian service and support in various ways their fellow human beings without regard to race, religion or political opinion. The goal is to build goodwill and peace in the world.